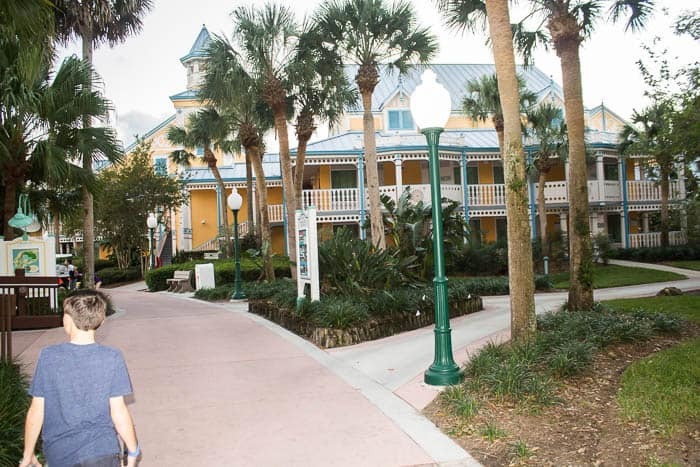 This Disney Caribbean Beach Resort Review is based off of my family’s experience during our stay there in November 2017. When planning our most recent trip to Florida, we decided to spend the first half in Disney World and the second half at my parents house. Our vacation was the week of Thanksgiving 2017. 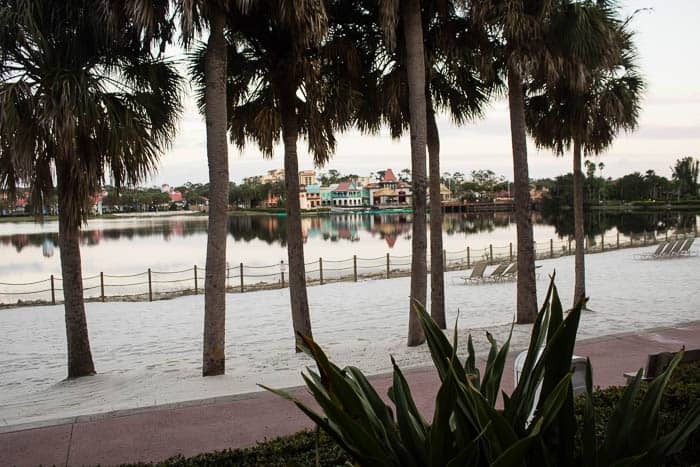 We quickly realized that Thanksgiving is probably not the best time to vacation at Disney World due the crowds and a few other slip ups that people don’t really expect to happen when you stay there. I’ll get more into that later. 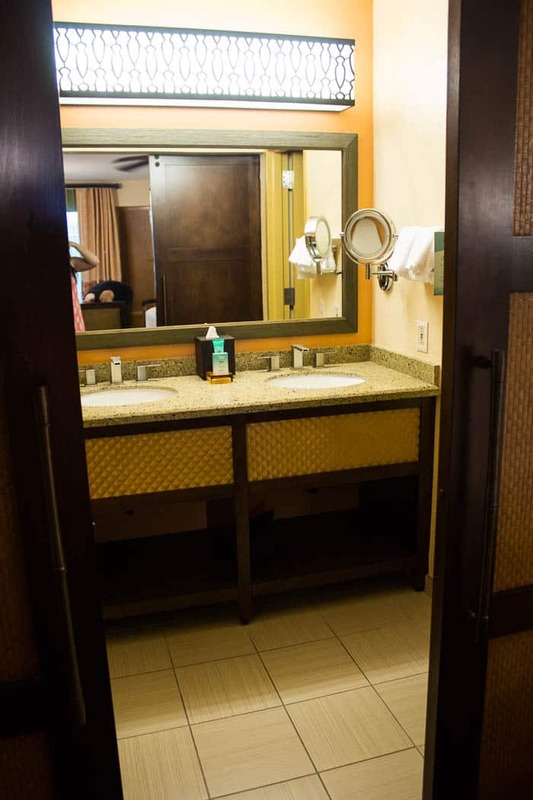 We initially planned to stay at the Animal Kingdom Lodge and almost went all out on a room overlooking the savanna. Instead, we came to our senses and realized we wouldn’t be at the resort very often. 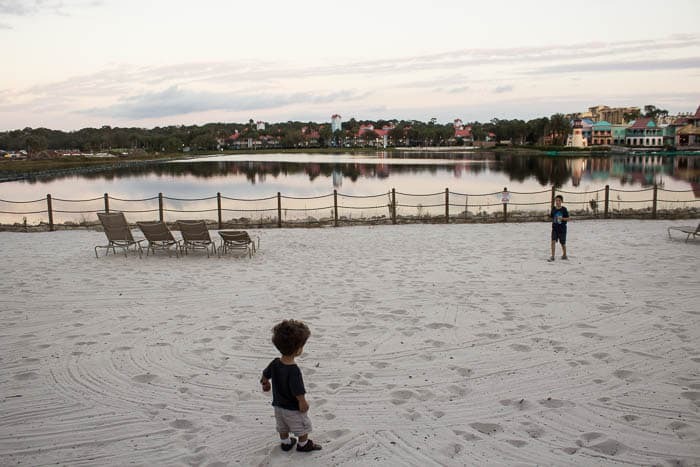 We ended up choosing to stay at Disney’s Caribbean Beach Resort for a fraction of the cost. Check-in was a breeze. Even during this busy holiday week, it only took a matter of minutes before we were all set with directions to our room. My fiancé had ordered room surprises, so I had the camera rolling when we opened the door so I wouldn’t miss a second of my kids excitement. To our surprise, they were not there. My fiancé called the office and they told him that a runner would be down with them as soon as they were back from another errand. We took the boys and went for a walk to check out the resort since this would really be the only time we had to do it. When we came back both of the boys surprises were there. They were really nice and my kids were super excited. It really was a great way to get them excited and ready for the trips to the parks we had planned the next few days. However, I saw my fiancé on the phone with the front desk again. It turned out that he had ordered me a surprise too! And, it wasn’t there. 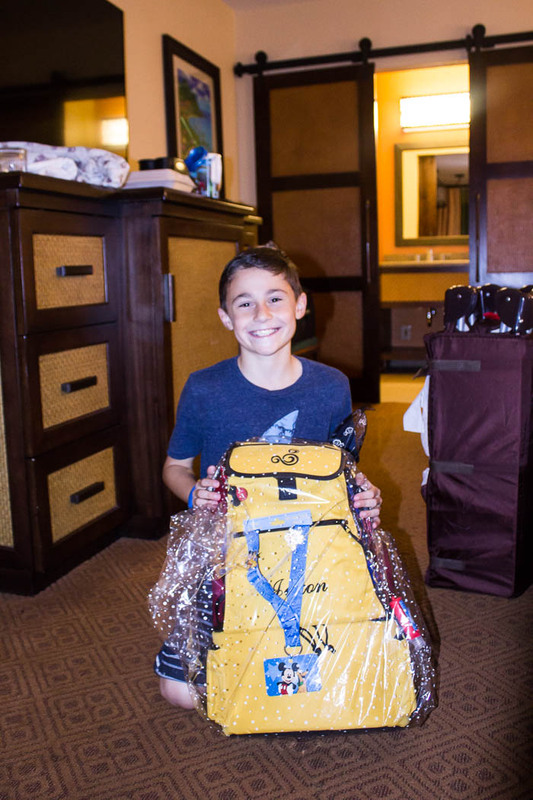 The front desk told him that it had not been delivered yet and they would bring it as soon as it was. I didn’t know this at the time, and we headed over to the dinner buffet. 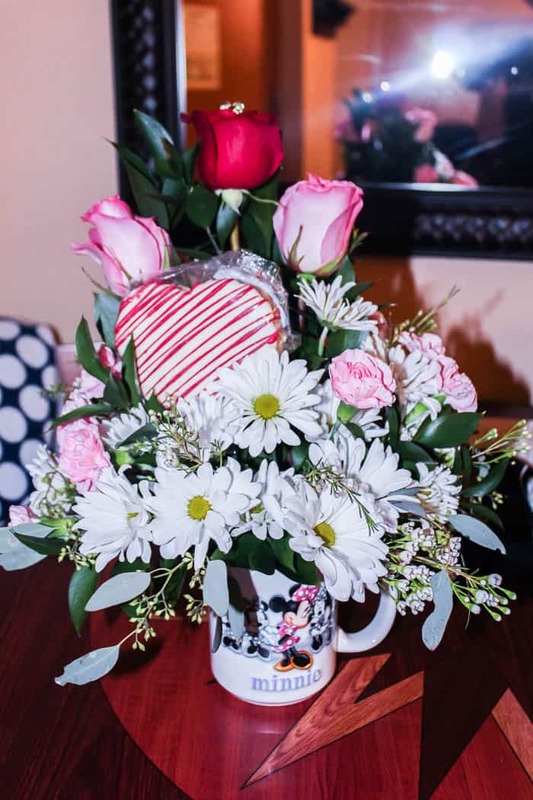 After dinner, to my surprise, waiting for me in our room was a Minnie mug full of flowers and a treat! We booked a standard room with 2 queen-sized beds and requested a crib for our youngest. The room was small and cramped. In addition to the 2 beds and crib, there was also a small table with 2 chairs, a large dresser and a nightstand. This area was much smaller than any other hotel we’ve stayed at recently. We usually put the crib between the 2 beds, but there wasn’t enough room. We had to leave it at the foot of one bed which made passing through to the bathroom a bit challenging. We also had a stroller and 2 large suitcases. There was literally no extra space. 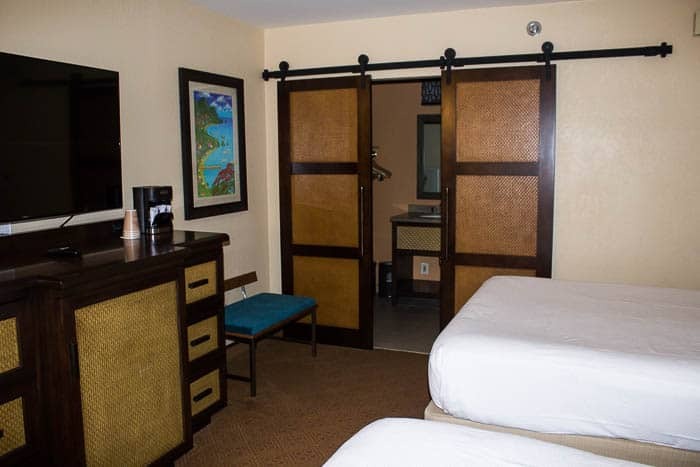 This wasn’t a huge issue for us, since we weren’t spending much time in the room except late at night, but definitely something to consider if you plan to stay longer. 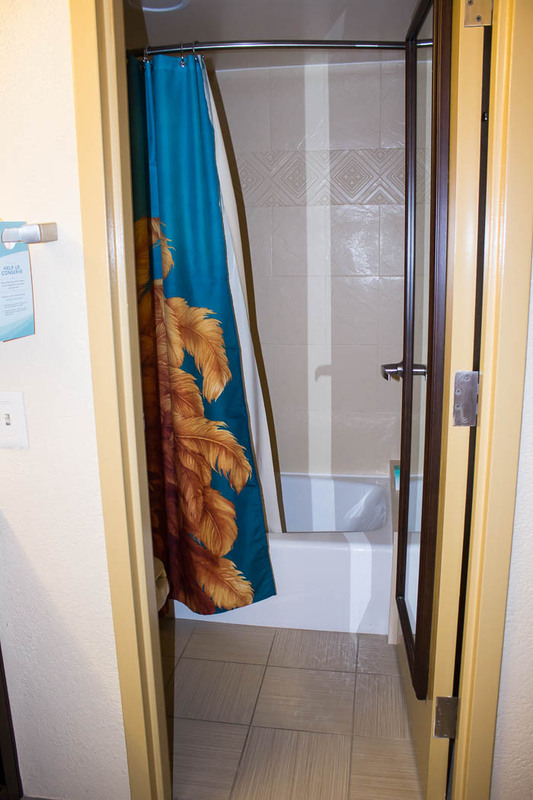 The vanity area was a nice size, however the toilet and shower were in a separate area that was also pretty tight. Everything was clean, just a little out-dated. The resort itself was beautiful. 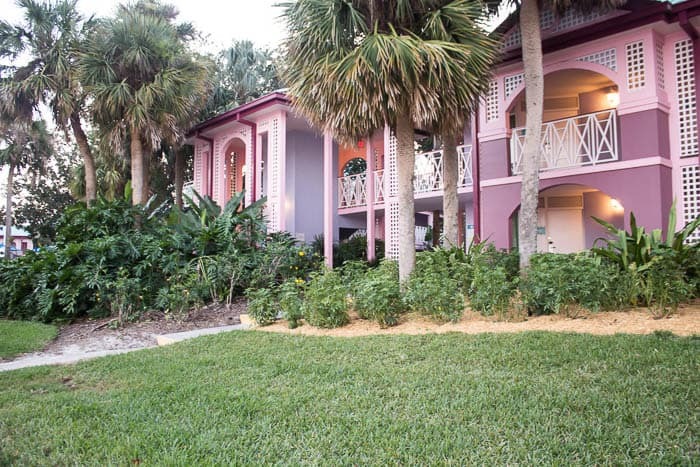 The buildings are bright tropical colors, there are tons of tropical trees and flowers, and even a “beach.” There are plenty of walkways connecting the entire resort. There was a small pool near our room, but there is a larger pool with fun things for the kids and a beach entry. Unfortunately, we did not have time to enjoy the pools. 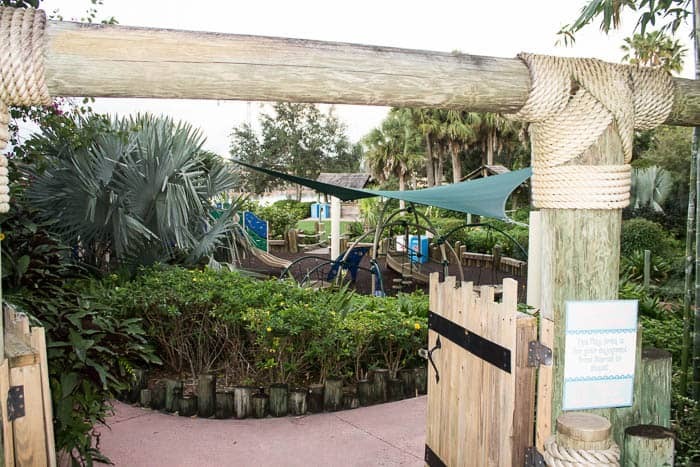 On the Caribbean Cay Island is a playground where they also show movies at nights. This was also where the diner buffet was. All of the staff were wonderful! Overall the resort is beautiful! While I probably wouldn’t recommend a standard room for stays longer than a few days, I would definitely recommend considering booking here. 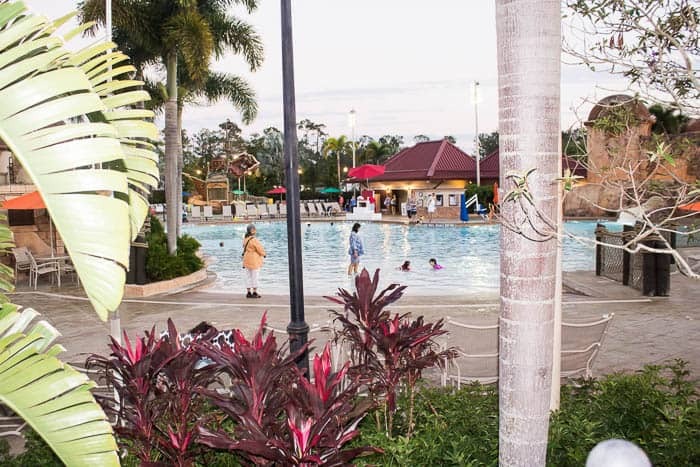 It was much less expensive than some of the other resorts we looked at, but still has plenty of amenities! You can find more information, and see current room rates here. 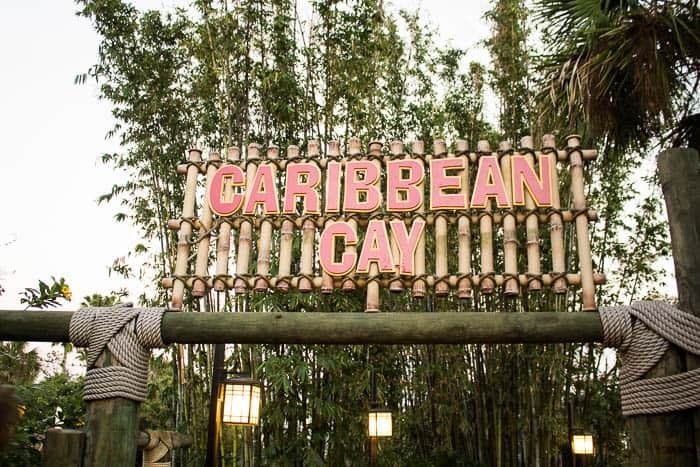 I hope this Disney Caribbean Beach Resort Review helps you in your Disney vacation planning! If you have additional questions, feel free to leave a message or send me an email.